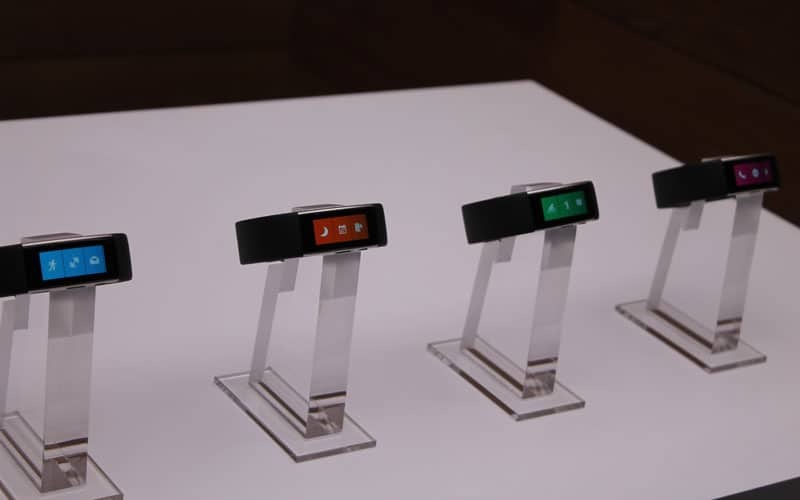 Despite its clunky appearance and sometimes uncomfortable fit, the first version of the Microsoft Band had a few features that made it stand out, and repeatedly sell out in minutes. The wide array of sensors and the simple, yet very functional, touch screen interface were great selling points. But one of the things that made the Microsoft Band a compelling wearable, if not limited success, was its ability to work across platforms, including the availability of its Software Developer Kit for iOS and Android in addition to Windows Phone. This cross platform openness led to an assortment of apps regardless of what ecosystem your phone is tied to, and in some cases better experiences on phones that did not run Windows. For example, there were initially more robust third party offerings in regards to apps in the Google Play store and in Apple’s App Store to control your phone’s music right from your wrist. There are a great deal of improvements in the second version of the Band, which looks to take the wearable from a limited release proof-of-concept device to full fledge consumer product with more mass appeal. Namely, it will have an improved fit that is more flexible and a sleeker profile thanks to a rounded screen. As our own Michael Cottuli reported from last week’s Windows10Devices event, the second version seems to deal with many of the issues with the first version and it is finally a more universally comfortable device. Beyond just the physical improvements, it looks like Microsoft is doubling down on the cross platform capabilities and opening the device even more for developers to create robust third party apps. This is becoming apparent from Microsoft’s announcement of the updated SDK and design guidelines for the Band 2. Microsoft News is reporting that the Microsoft Band SDK support 5 new sensors previously not available, among a few other features. Microsoft also released a 54 page Experience Design Guidelines to help developers create a consistent design experience for the Band 2 that best utilizes the 320×128 touchscreen. Additionally, the guidelines highlight how Microsoft envisions the purpose of the Band. Specifically, that the device is not a mini-phone and it is suppose to offer direct hyper-glanceable notifications that allows the user to be in and out of notification or tile in under 8 seconds. Microsoft also elaborates on what they feel defines the personality of the Band and their goals for the personality in third party offerings. The Band 2 is set to release on October 30th and is available now for pre-order at the Microsoft Store as well as Amazon. It comes in three sizes, all of which are priced at $249.99. What do you think of the improvements made to the Microsoft Band 2? Are you looking forward to the new version of this fitness tracker and smart wearable? Let us know in the comments section below. What do you think of the improvements made to the Microsoft Band 2?